CENTENNIAL, Colo.—Ambrosia Nelson joined Dupaco when a branch opened near her Dubuque workplace. It was a financial move driven primarily by convenience, but she quickly embraced her credit union. Eventually, Nelson was recruited for a different job that would take her and her family 900 miles away to a Denver suburb. Distance suddenly seemed trivial, and the Nelsons knew they wanted to stay with Dupaco wherever life took them. Nelson and her husband, Phil, joined Dupaco with checking and savings accounts. Since then, the relationship with their credit union has evolved. 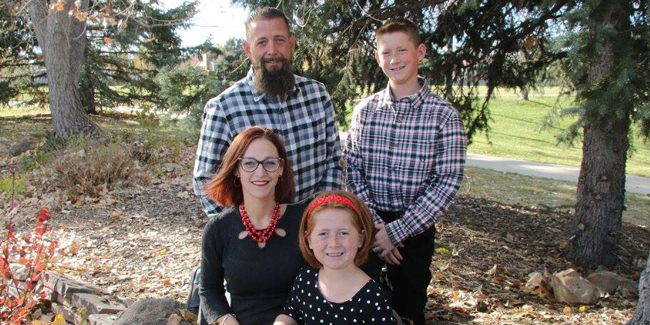 The Nelsons have used Dupaco for direct deposit, online banking, mortgages, debt consolidation and financial education through Dupaco’s free Money Makeover service. Related: What is a Money Makeover? Most recently, Dupaco’s Brittany Krapfl helped the couple consolidate debt through a home equity line of credit. It saved them hundreds of dollars in monthly payments and allowed them to tackle some projects around their home, including a bathroom addition, new carpet and landscaping to give them better use of their home. All of this was done from 900 miles away—utilizing email, electronic signatures and mail.